As we edge cautiously into summer, SelfMadeHero’s extensive range of graphic novel releases are clearly showing no signs of slowing down anytime soon. 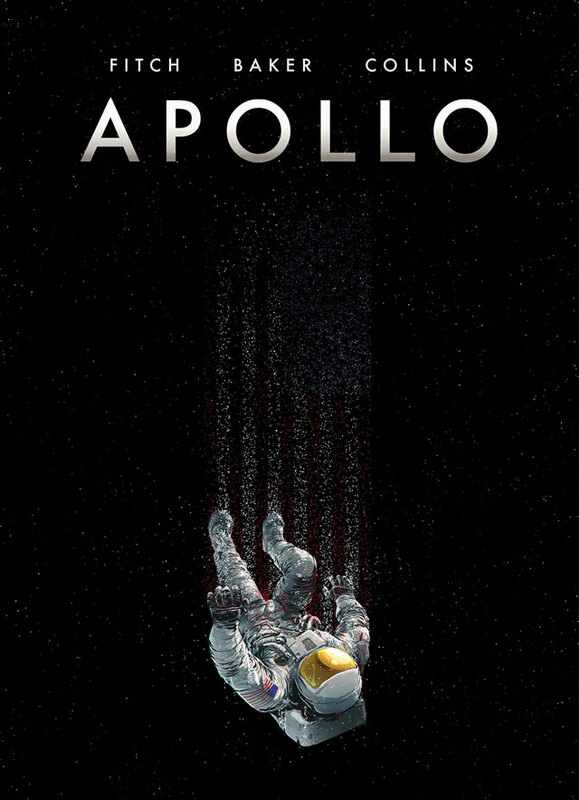 Their latest ‘Apollo’ written by Chris Baker and Matt Finch and illustrated by the very talented Mike Collins. 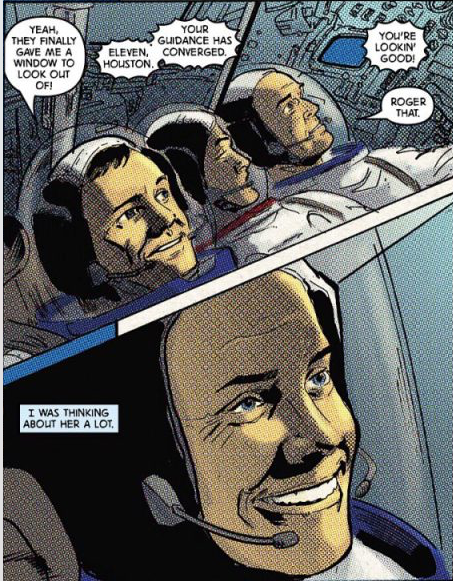 Following the now legendary events of 1969 when astronauts Neil Armstrong, Edwin Buzz Aldrin and Michael Collins undertook one of the most momentous journeys ever recorded – as they soared out of our hemisphere and into the history books on their trip to the moon. 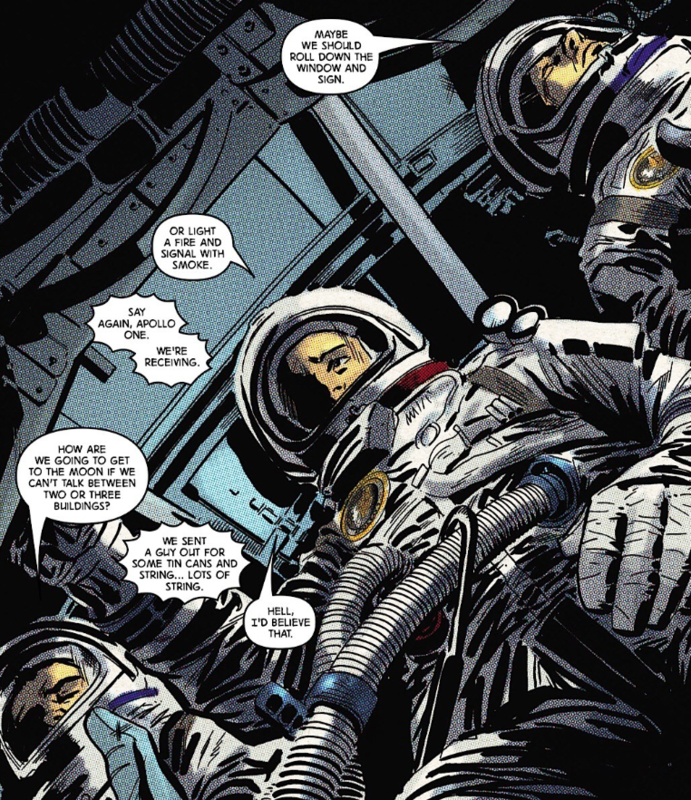 This graphic novel adaptation of the first lunar mission is a fascinating insight into that historical trip. With rumours and speculation rife on the actual events which took place on that day it still feels very personal to the crew and their families covering their hopes and dreams amidst such a mammoth event. True it’s a reimagining but in doing so it’s created something very special indeed – with a huge amount of suspense and a lot of heart. First up it has to be said Mike Collins art style is superb. The dramatic panelling and colour tones perfectly capture the mood of the event and the crew’s emotions. There’s a real feeling of classic pulp comics too with his artwork. ( You might well recognise his work from TV including Dr Who.) So this really makes it ideal for conveying a real classic sci-fi comic feel to the narrative and perfect for this space epic.